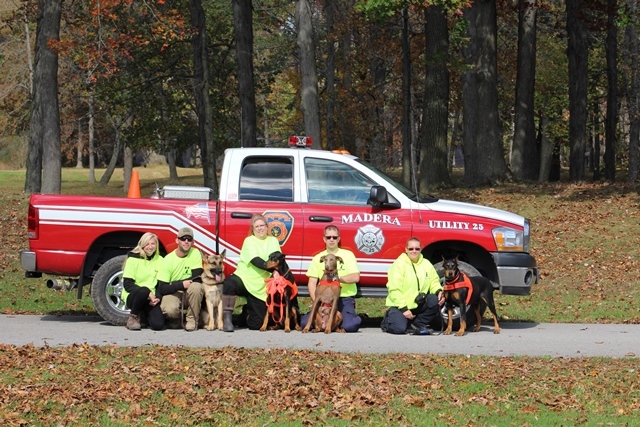 CURWENSVILLE – The Madera, Station 25, K9 Search and Rescue team took part in exercises and received certificates Oct. 23 at Curwensville Lake. It went to be professionally-certified in the commonwealth of Pennsylvania as a K9 Search and Rescue Team Oct. 16. There were four dogs certified in Search and Rescue and K9s are cross-trained in scent detection, K9 drug detection and K9 personal protection. The multi-county K9 SAR Task Force includes Clearfield, Jefferson, Elk and Cambria counties and they are available through the County 911 Centers. Demonstrations can be scheduled by contacting the chief at the Madera Station 25.